A number of micro, small and medium enterprises (MSMEs) and start-ups will take part in a Defence Equipment Exhibition to be organized by the Federation of Indian Chamber of Commerce and Industry (FICCI) in association with the Indian Army during 15-16 September, in Pune. The participating companies include MSMEs, Start-Ups, leading Private Sector players, Ordnance Factory and the DRDO, FICCI said in a statement. Minister of State for Defence, Subhash Bhamre will inaugurate the exhibition on September 16. The equipment exhibition opens on 15th September and will be visited by 200+ officers from the contingent participating at the multinational training exercise. The exhibition will showcase equipment by Indian defence companies to BIMSTEC Nations Army Chiefs and the contingent will be concurrent with the BIMSTEC MILEX - 2018 military exercise. 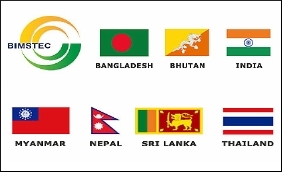 The event will provide a unique opportunity for the Indian Defence Equipment manufacturers showcasing their capabilities, providing solutions to the military requirements of the BIMSTEC Nations along with promoting Indian defence exports to the BIMSTEC Nations, said FICCI. Under the Draft Defence Production Policy 2018, India has set an ambitious defence export target of USD 5 billion by 2025 to become one of the world's top five defence producers. Vivek Pandit, Assistant Secretary General, FICCI said " I am certain our industry can not only meet the requirements of our army, but also those of our friendly nations of the BIMSTEC group. We are confident that the equipment display will translate into tangible business opportunities." Over twenty players from the defence industry will exhibit 250 different indigenously developed equipment.